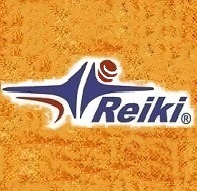 Welcome to the Reiki Professional Community! All shared information described in this website are based in my personal experience providing Reiki training classes and treatment for the past 10 years. They are only suggestions, take them as they feel right and make sense to you. The use of any or all the suggestions stated in this website are done by your sole discretion. I want you to prosper and detach from all kind of mundane desires, on the process become a realized soul. God Bless you! Post by reiki4us Reiki Training Classes and Healing - NYC & NJ. Post by Reiki Training and Healing - NYC & NJ.